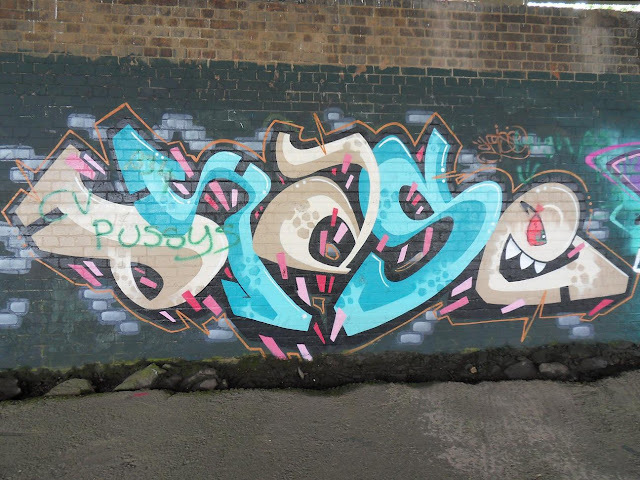 Really nice Graffiti lettering, and quite an intricate, detailed piece if you view the image at a larger size. Click it. 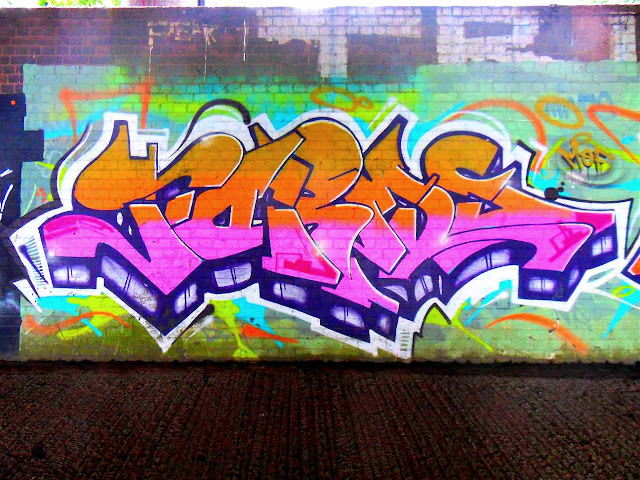 Along this wall there's a few lettering pieces by someone called JASE. And this looks like it reads that or something very close to that, so I think this is his work. Jase has some cool artwork around. Shame someone had to diss / write over this work. Probably done by kids.